Happy 2013! Or as the Koreans say, 새해 복 많이 받으세요!! This roughly translates to, "please receive a lot of fortune in the new year". I returned to Seoul for New Year's after a quick one-week trip to the US. Despite jet lag, I was able make it to midnight and celebrate my first dawn of a new year in Asia. 2012 was an incredible year for me with a lot to reflect upon – finishing business school, travels all over the world, starting a new job and moving to a new country, making new friendships and enriching existing ones. Now I look forward to an exciting year ahead. 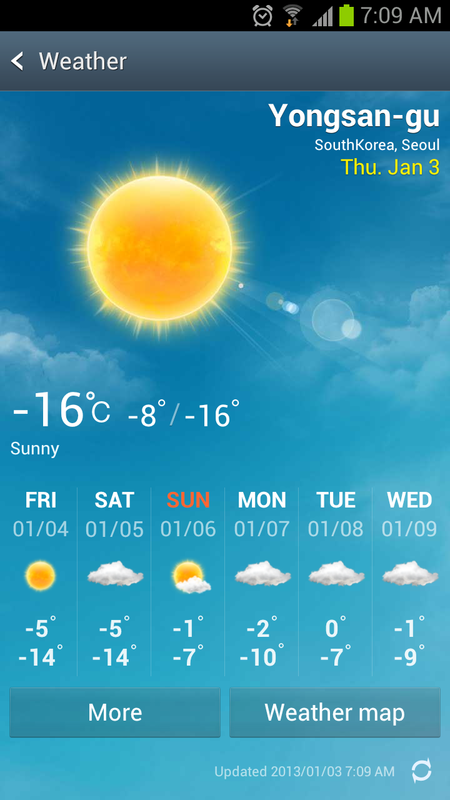 But in the short-term...it's COLD in Seoul! I knew I would likely experience my first "real" winter here since college, but I wasn't quite prepared for the frigid onslaught that has swept over the Korean peninsula so far this winter. Even though I've lived through even colder weather in Boston and Wisconsin (and I did check the historical record on this) my blood has thinned from 8 years of reasonable Virginia winters. Thankfully, I'm prepared with a down overcoat and a closet full of sweaters. 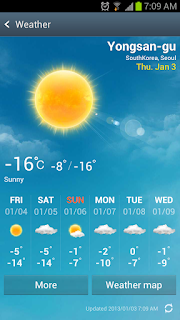 On January 3rd, when the thermometer reached -16.5 C (2 F), it was the coldest temperature recorded in Seoul since 1986! As I learned from my childhood, the only remedies for getting through the dark, bleak winter are to bundle up and find activities to help you pass the time until the weather becomes more hospitable. This weekend, my colleagues and I checked out our first Korea league basketball game! Though the quality of play roughly the quality of NCAA Division 3, we weren't complaining as it was, similar to Korean baseball, quite cheap. I also look forward to trying out some of Korea's ski slopes soon.